From business cards and gift vouchers to roll fold leaflets – a range of marketing collateral was needed to spread the word in and outside of the shop. Selling their own produce was a way to get across the Lavender Bakehouse branding whilst also pushing it further to give standout on the shelves. From business cards and gift vouchers to roll fold leaflets – a range of marketing collateral was needed to spread the word in and outside of the shop. Using their beautiful photography made it easier to get the point across – mouth watering cupcakes sat on the back of their business cards, as did a basket full of home made bread on the front of the gift voucher. This is a great example of where putting the product at the forefront works wonders. Being based in the art-mad town of Stroud, it seemed the perfect spot to put a gallery. This needed to be marketed separately from the coffee shop – so a roll fold leaflet was designed, using photography taken by us. Hints of lavender pulled it back in line with The Lavender Bakehouse branding. 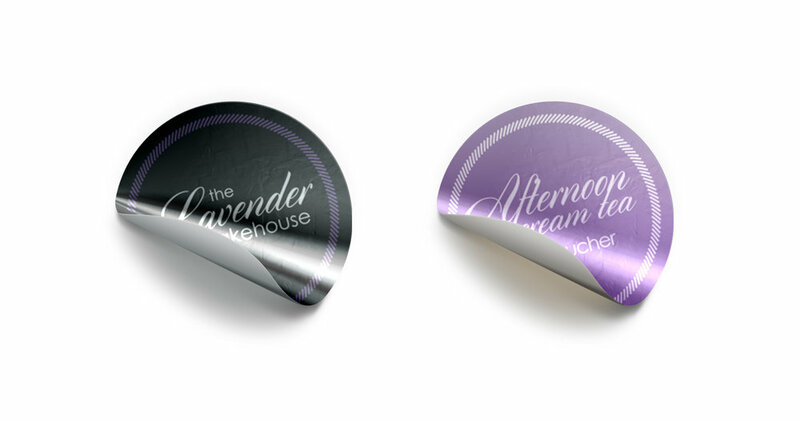 Menus are the main point of customer contact in restaurants and coffee shops, and so this needed to reflect the Lavender Bakehouse brand perfectly. Clear, simple and inspired by french eateries with a hint of character in the form of vintage illustrations - this styling worked across packaging and other collateral too. 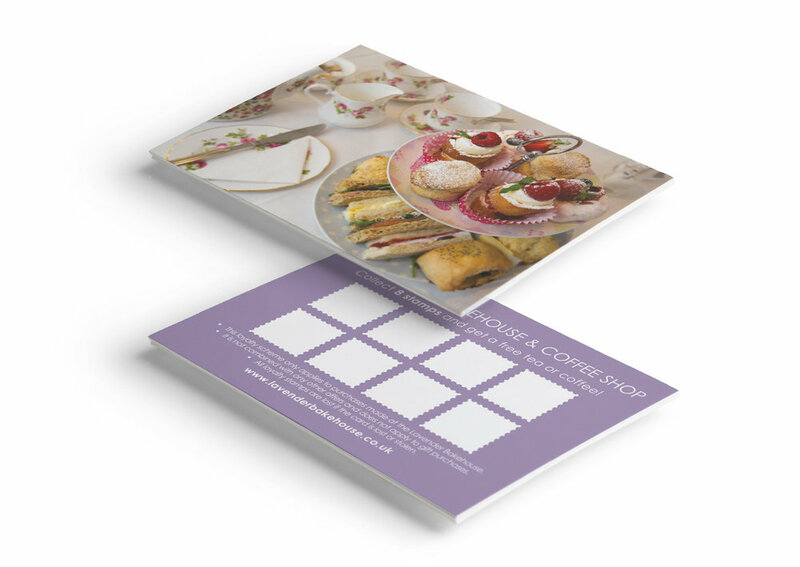 From stickers, wrapping, gift vouchers and takeaway menus - we regularly support Lavender Bakehouse with consistent retail collateral.